Accu-Fab, Inc.’s Environmental, Safety, and Health Policy reflects the values of Accu-Fab and is the framework on which the company’s Environmental, Safety, and Health Management System has been developed. Accu-Fab, Inc. has an immense respect for human life and it committed to the protection of our associates an the environment. Our goal is to maximize operational industrial safety performance while minimizing pollution and any operational impact to the environment through the continual development of policies, procedures, process efficiency, operational performance and monitoring. 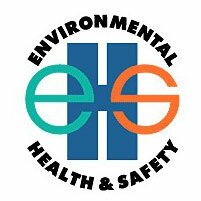 We protect our associates and the environment by implementing robust safety and environmental management systems to conform with local, state and federal guidelines – including but not limited to the requirements of the City of Raleigh NC, the North Carolina Department of Environment and Natural Resources, the U.S. Environmental Protection Agency, and OSHA. As a good corporate citizen, we will continuously strive to improve the effectiveness of our safety measures and our operation’s environmental performance, minimizing both the opportunity for injury and any impact to the environment that surrounds us. To further our commitment to environmental responsibility, objectives and targets are established within our quality and environmental management system to promote this policy.